Trading in Forex is not easy, and unless you have a solid understanding of the strategy that you are applying to back your investments, the risks are just too great. However, given the number of strategies there are, it can be quite confusing to find one that works for you. While new traders can only figure out the perfect strategy for themselves after they have tried out a few of them, we have made that job easier and faster for you by narrowing it down to just five. Purely reliant on technical analysis, swing trading is too quick a strategy for big institutions and their big investments. Neither a long-term, nor a short-term strategy, swing trading generally involves trading on the one-hour or the four-hour timeframes. Not to be confused with very similar strategies like copy trading or social trading, mirror trading is actually one of the best strategies for forex traders in 2019. 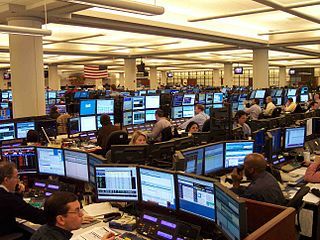 The strategy involves connecting one’s account to one or more algorithmic trading strategies available on the server, so that all trades are completed automatically. To understand how it works and how you can connect your trading account to some of the most successful forex trading algorithms in practice, visit this page on Investingoal.com and learn in detail about the concepts of mirror trading. What makes mirror trading different and more effective than copy trading is the fact that a tested and proven algorithm is followed here, unlike in copy trading, where the current actions of a trader are simply copied and reflected on all the connected accounts. Now that you have a short list to work with, it is recommended that you decide on the strategy based on the number of hours you have available to invest in forex trading. Long-term strategies are more suitable for people with full-time jobs, while mid- to short-term strategies are perfect for those looking to turn forex trading into a full-time profession. However, something like a well-chosen mirror trading strategy could actually work towards getting you the best of both worlds. You won’t need to spend as many hours in front of the screen, but you won’t have to give up on the hopes of getting a good return from your investments either.